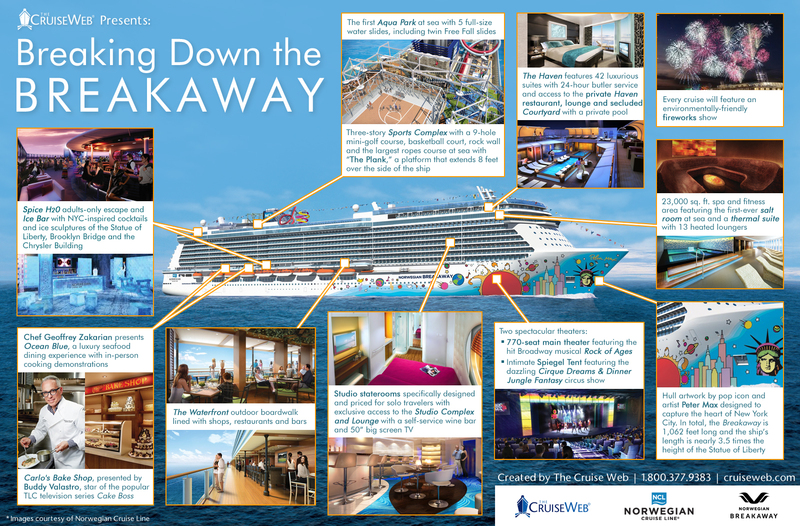 An 'info graphic' released by The Cruise Web explores the features on the brand new Norwegian Breakaway, a 4,000 passenger cruise ship that makes her debut May 2013. Click on the image or click here to see the graphic full sized. Start spreading the news! The brand new Norwegian Breakaway is set to start sailing from her homeport of Manhattan in just a matter of days. 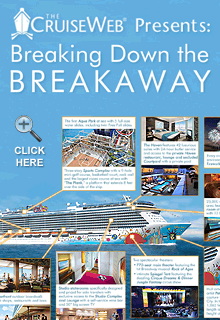 To celebrate this groundbreaking ship and her exciting new features, the cruise experts at The Cruise Web have created a handy infographic, Breaking Down the Breakaway, to illustrate all the must-see spaces and features on the Norwegian Breakaway. This vibrant illustration details the astonishing features of the 4,000-passenger cruise ship, which will serve as a floating resort for thousands of travelers starting in 2013. The infographic can also be used as a map to give cruisers a guide to getting from an al fresco dinner with a view of the sunset at The Waterfront, to the Theater for a rocking production of Rock of Ages. Our infographic can also help passengers make their way to the Ice Bar where the party gets started with some New York-themed drinks. The riveting Aqua Park, which features five waterslides, two pools and four hot tubs. An aerial view of the 3-story sports complex where passengers can get physical at the basketball court, climb through the ropes course or play a round of mini-golf. The first ever salt room at sea, located in the two-story spa. The beautiful and fantastical hull artwork created by famed pop artist Peter Max. Ocean Blue, an elevated seafood experience from Iron Chef Geoffrey Zakarian. 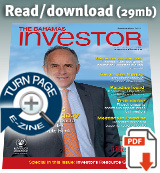 The US stock market continues to rally with the S&P 500 trading up 0.5 per cent on the day. For some perspective on the trend of the overall stock market, this chart illustrates the trend of the stock market (as measured by the S&P 500) since 2000.